The Brother CS6000i Sew Advance Sew Affordable 60-Stitch Computerized Free-Arm Sewing Machine features 60 built-in stitches and a simple to use LCD display to select them. The LCD display also shows you the length and width of each stitch. 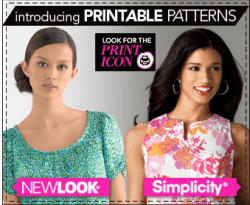 You can also use the keypad to adjust the length and width of each stitch. 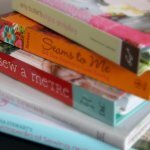 A convenient reverse sewing button lets you use a reverse stitch at the beginning and end of each seam to lock in your stitches and prevent them from unraveling. 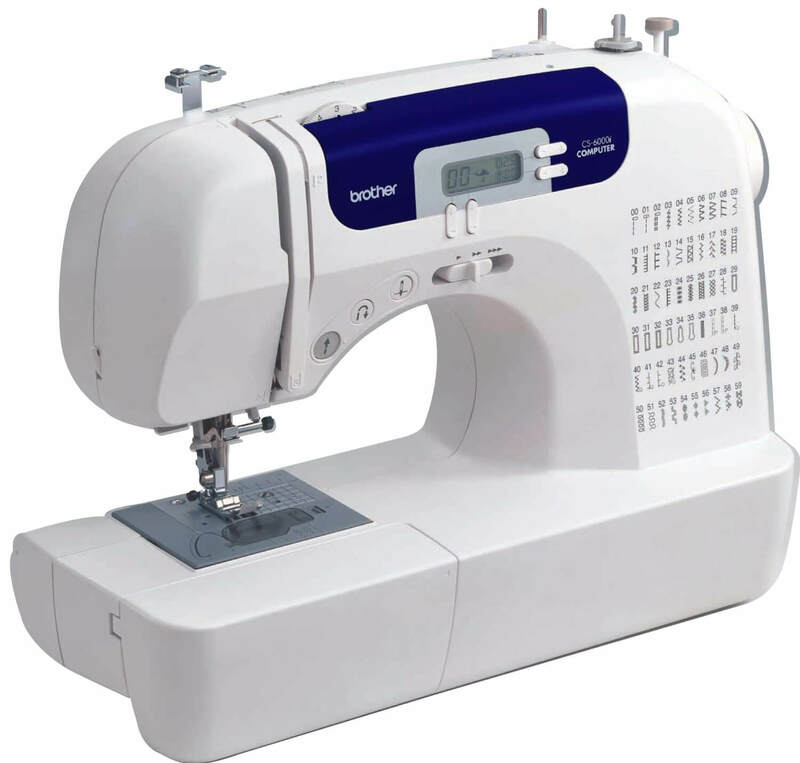 The Brother CS6000i is a free arm machine that lets you easily sew small items like cuffs and sleeves by removing the free arm attachment. 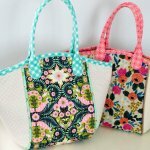 You can also work on larger projects like quilts and table cloths by using the large extension table that comes with this machine. The reviews for the Brother CS6000i Sew Advance Sew Affordable 60-Stitch Computerized Free-Arm Sewing Machine are quite good. With nearly 1000 reviews online this machine received an average user rating of 4.4 stars. Of course whenever there are 1000 reviews for a product there will be some people that didn’t like it. Some people reported buttonhole problems and some people also reported problems with the tension. One person said that the first day this machine worked wonderfully but on the second day it didn’t matter how they adjusted the tension, the threads would lay on top of the fabric and not form a proper loop. Despite some of those negative comments most of the reviews were very positive. A number of people said that they spent a lot of time researching machines before deciding on this one and one person pointed out that the Brother CS6000i was one of the top-rated machines by Consumer Reports. One of the things that a lot of people like about this machine is that it is lightweight and portable. 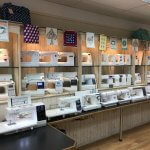 One review came from a customer that said she recently joined a quilting group and didn’t want to bring her Viking machine back and forth and risk damaging it. She says this machine is easy to carry but it also “feels heavy duty” when you’re using it. 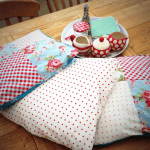 She says that the stitches are perfect and it is easy to use and as a quilter there are a number of features that she likes such as the needle up/needle down function, right to left needle adjustment, and the various built-in quilting stitches. A lot of customers also feel that this is a great machine for beginners. One person said that this is the first sewing machine they’ve ever owned and they could not be happier. 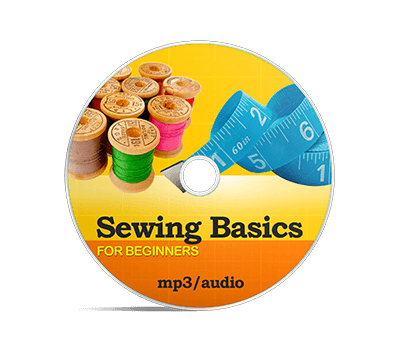 The instructions and diagrams are crystal clear and one person said that they went from not even knowing what a bobbin or a presser foot was to now sewing Halloween costumes. 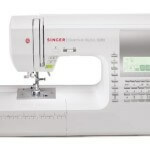 The reviews for the Brother CS6000i Sew Advance Sew Affordable 60-Stitch Computerized Free-Arm Sewing Machine are very positive overall. 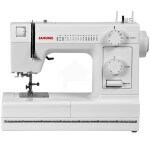 People like the fact that it comes with a hardcover, people are saying that the needles are German-made and are very high quality, the machine comes with a lot of accessories and a good number of built-in stitches. On top of everything else this machine is very affordably priced. 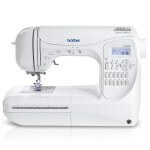 After studying the reviews and seeing how much the positive comments outnumber any criticisms we would give the Brother CS6000i Sew Advance Sew Affordable 60-Stitch Computerized Free-Arm Sewing Machine our recommendation. 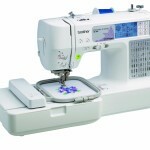 I just received my new Brother CS-6000i……..my problem is it only sews in reverse! Please help! Thank you! Give Brother a call or the lace where you bought it from. They should be able to sort it out for you. Give Brother a call or the place where you bought it from. They should be able to sort it out for you. I just purchased this machine online from Walmart; shipped free if you pick up at the closest store; everything was there, including an extended table, which you don’t usually get. Also, there was a walking foot and quilting foot; the feed dogs do lower for quilting free-hand. I am very pleased with this machine, which is lighter than my current one (Singer 6268 Electronic, made in 1985); it’s getting a little expensive to have cleaned once a year and parts are now scarce for it.